Café Dietrich has an impressive history. It opened its doors at the beginning of the 20th century. The café belonged to the Dietrich family and was managed by Paul Dietrich, a well-known baker in Haapsalu. The business was best known for its high-quality pastries. The café’s bakers made bread and rolls, a large assortment of cakes, biscuits and buns, ginger biscuits for Christmas and several different types of paskha for Easter. 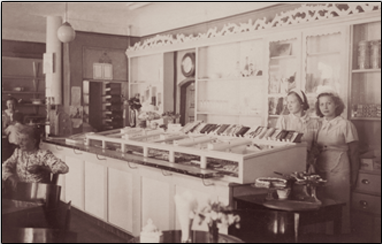 Dietrich’s was the best place for coffee and older residents of Haapsalu remember that the cakes of Café Dietrich were valued highly. 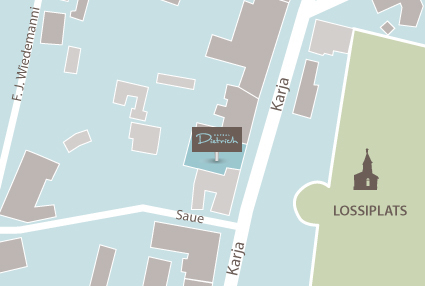 Café Dietrich had its businesses simultaneously at Viieristi, Karja Street 5 and Ehte Street and these worked actively until the occupation of Haapsalu. From decades ago, the family has managed to preserve a few items of furniture from the café, some baker’s tools and photos. While we were setting up the café we had the luck and great joy to meet Maie Dietrich, a native citizen of Haapsalu and a descendant of the owners of the once famous café. The lovely and dignified lady was greatly moved by our wish to continue the story of Café Dietrich that once belonged to her family. We have her blessing and she believes that the café will be successful and win people’s hearts. It was her great wish for the café to look beautiful and for its cakes to melt in the mouth. We will do our best. 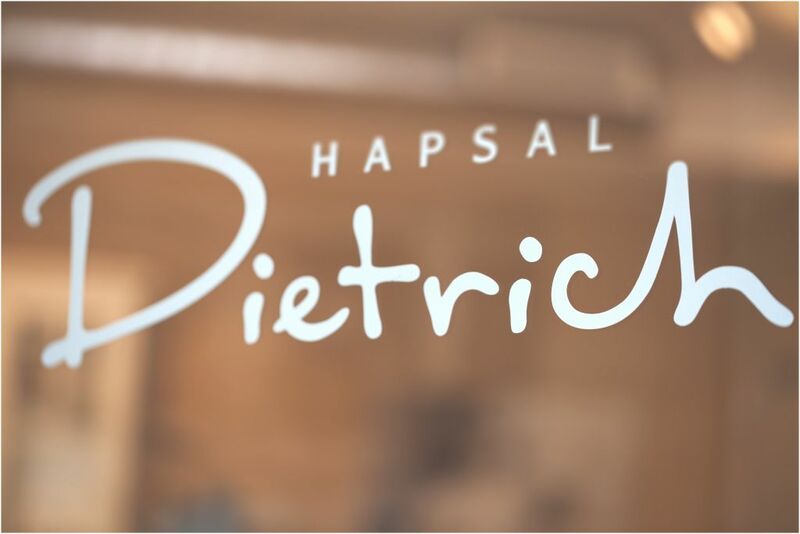 The creators of the new Café Dietrich are two families whose passion and hobbies are cooking, enjoying food, love for small cafés, respect for the history of Haapsalu, old architecture and furniture from the time of the Estonian Republic in the 1920s and 1930s. The café has several interior design elements from that period and we have tried to design it to look the way it was 100 years ago.